More Argentine Tango in 2018 in the Forest of Dean area means more Tango in Lydney too. 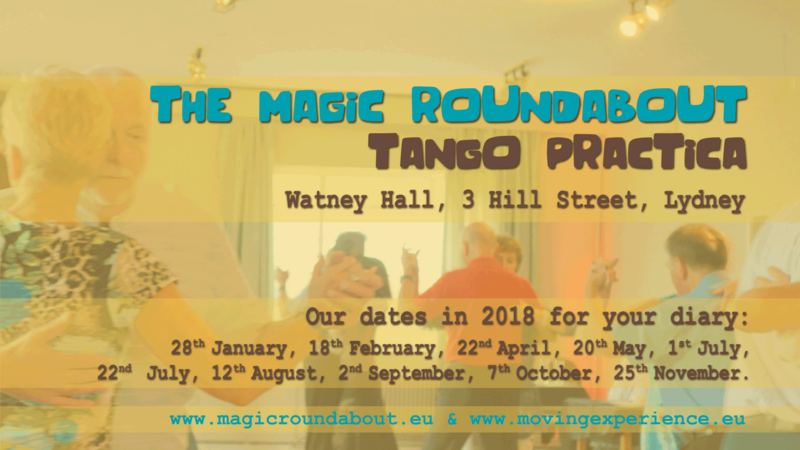 The Magic Roundabout Milongas and Moving Experience will continue the Argentine Tango activities in Lydney as well as in Newland, Gloucestershire. Beside the regular Argentine Tango classes at the Newland Village Room there will be a monthly Sunday Milonga & Free Tango Practica at Watney Hall, 3 Hill Street in Lydney. Between 1.30-2pm I will be offering a Free Tango Practica. The practica is open for everyone and we will focus on tango fundamentals & body awareness. You just can’t get enough of it. In the beginning of the practica there will be presented a movement, a little task to practise on and then you have time to work on your own or to ask for guidance. There are a few spaces available directly at the Watney Hall, 3 Hill Street, Lydney. 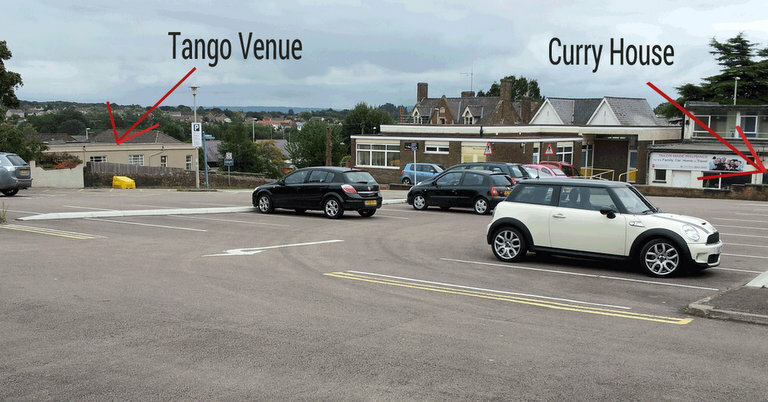 We recommend the public car park Bream Road. 1 minute away from the venue and FREE on Sundays. It’s not just tango, it’s so much more! After four hours of dancing at our Sunday Service Milonga we often gather together for a curry at our local curry house ‘Bengali Balti‘. A perfect ending of the weekend. Come and join us next time!